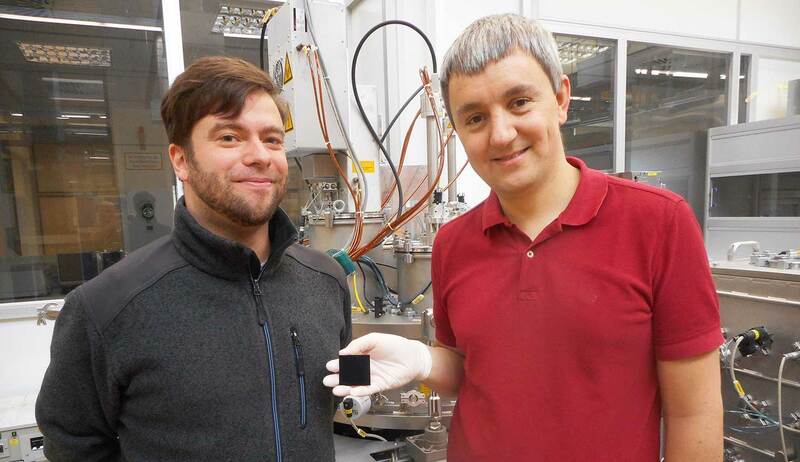 The molybdenum oxide for this black, slightly reflecting coating was just recently developed by Plansee. Display manufacturers need this coating material to improve the performance of high-end devices. The aim of our PVD application laboratory is to support the development of new materials for the display industry. “Our team of scientists creates and analyses coatings precisely according to customer’s specifications. Thanks to this collaboration with our customers and a wide range of development institutes, we can minimize the time to market required for the development of new coating materials”, says Dr. Harald Köstenbauer, head of the PVD application laboratory.